Tragically Matthew Harding ended his life on the 22nd of February 2018. 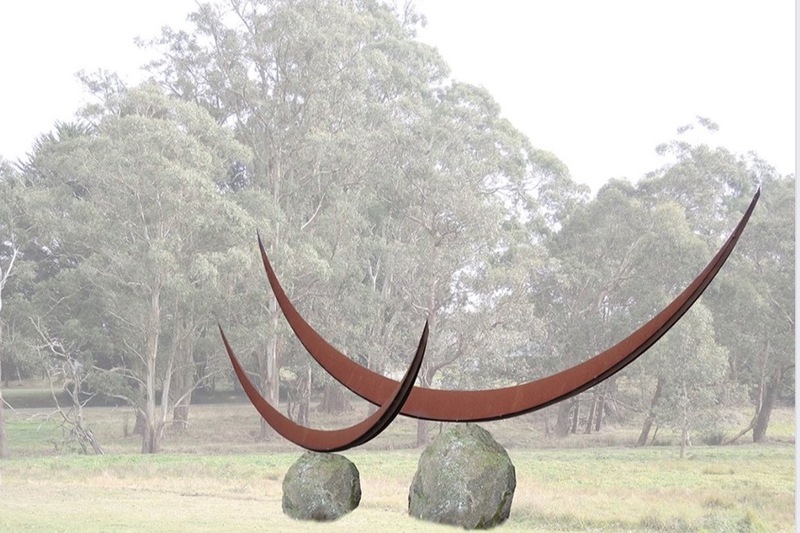 His death was unexpected and has shaken all who knew him – family, friends, collaborators, the town of Trentham, the cities of Canberra and Newcastle and the art’s communities are all grieving a wonderful man who has left us too soon. 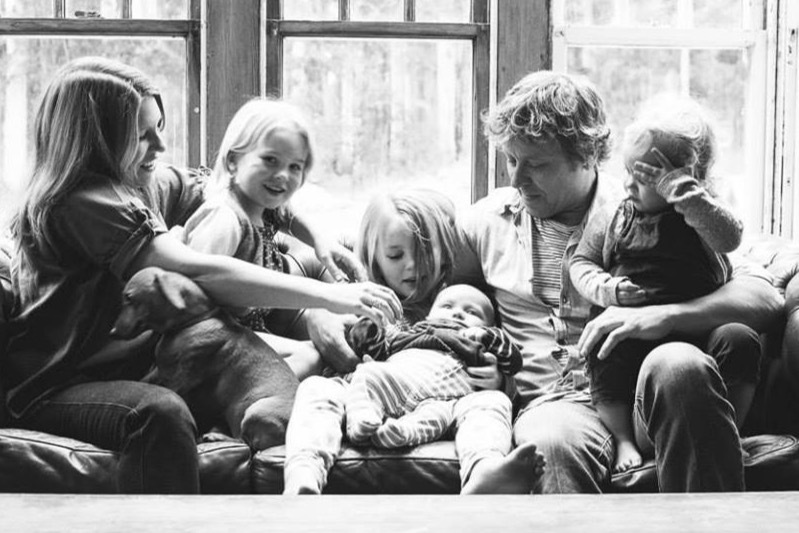 Matthew was the partner, father and provider for his family of six. His partner Freya is now preparing to raise their four beautiful children Arabella (10), Lulu (9), Polly (6) and Hugo (4) without Matthew. Matthew was an incredibly creative, prolific and successful artist, however, he struggled financially all his life in pursuit of his art. His family struggled along with him and had many ups and downs. Despite the financial stresses they thrived as a family living in a modest home full of love and joy – all sleeping in one room. Our hearts are breaking for Freya and the children at this time, but they need more than our thoughts and our prayers. We are hoping to raise money to help support them as they navigate the world without Matthew. As single mother Freya now faces the near impossible task of providing financial, emotional and physical support to her four young children. We ask that if you have the means, please consider donating to this beautiful family. If you cannot afford to donate but wish to help, please keep this family in your thoughts and share this page as you see fit. The amazing and generous community of Trentham has rallied around the family supporting them in so many ways since this tragic event. A local fund has already been set up and all proceeds from this GoFundMe campaign will be added to the existing fund to support Freya and the kids. To those who have already donated, we thank you and ask that you please share this page so that those who do not have access to local social media pages are also able to contribute. 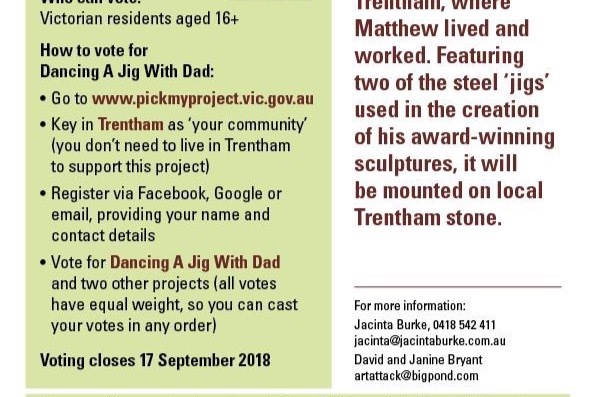 It was announced today that 'The Dancing a Jig with Dad' Pick My Project grant application was successful! Thanks to the amazing team behind this wonderful tribute and thanks to everyone who supported this venture to honour Matthew Harding's skill, life and legacy. What can I say?????? Thank you so VERY much!!! I am completely overwhelmed by the kindness shown over the past 6 months. Freya is equal parts grateful and embarrassed at the incredible generosity shown by all of you who have supported her and the kids. Your ongoing support and contributions are heartwarming and nothing short of life changing. 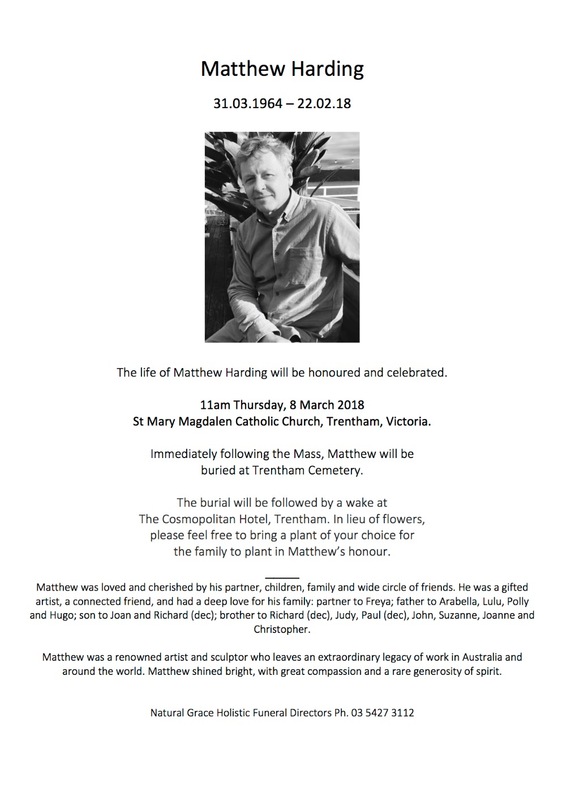 The life of Matthew Harding will be honoured and celebrated. St Mary Magdalen Catholic Church, Trentham, Victoria. the family to plant in Matthew’s honour.